Mission is done but Kito goes ahead! Our president Paola is finally back in Italy after the long great journey of KITO Onlus in the Philippines. However…our project is still going ahead! As a matter of fact, our Project and Training Assistant Shera, who is now in the city of San Fernando La Unión, is currently working on the community side of our project built around our health unit. 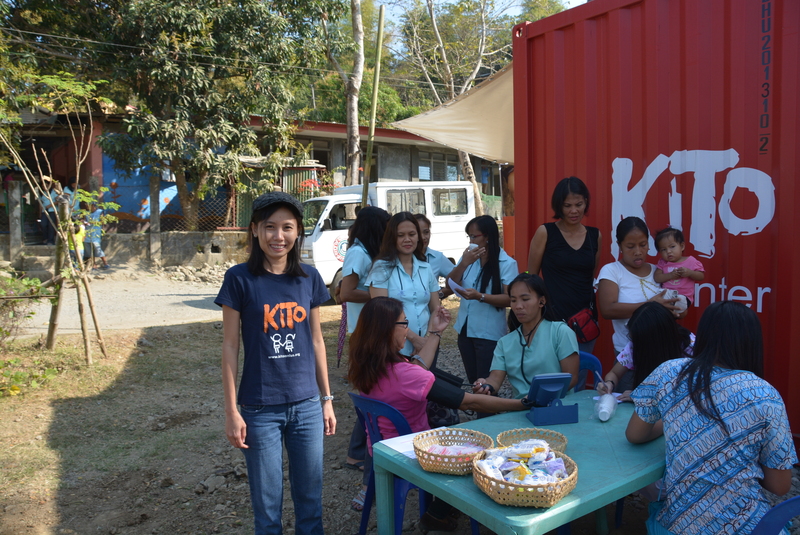 Indeed, the community of Barangay Sagayad, where the unit is located, is doing its best to make KITO – HEALTH fully operational. First of all, storage drums have been donated to the unit, so that it now has its own water supply. Secondly, some health workers of the Barangay will be present at the center, giving their availability to work for the unit all together. Finally, our PTA is organizing the training she will start to hold soon not only for the health workers but also for the direct recipients, starting with mothers at the Day Care Center. Do not miss out our latest news about out project’s results and follow us!! !